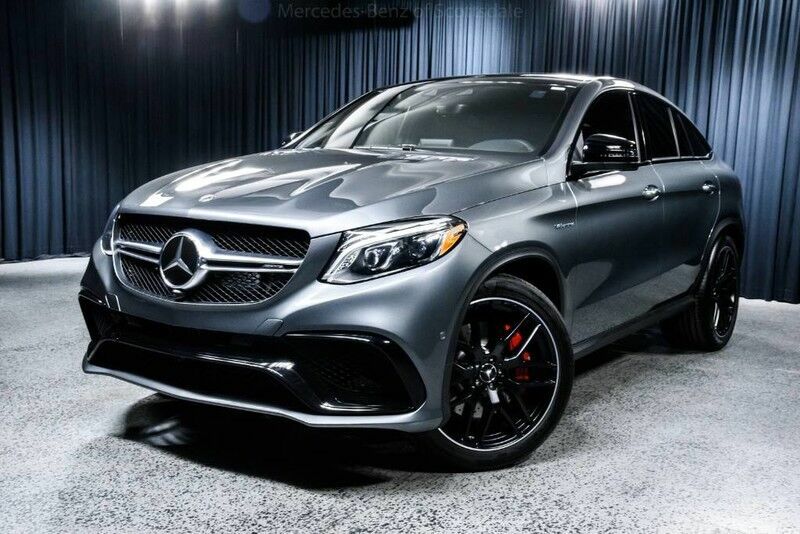 This outstanding example of a 2019 Mercedes-Benz GLE AMG GLE 63 S 4MATIC Coupe is offered by Mercedes-Benz of Scottsdale. This Mercedes-Benz includes: NIGHT PACKAGE PREMIUM 3 PACKAGE Lane Departure Warning Lane Keeping Assist Brake Assist Adaptive Cruise Control Blind Spot Monitor TRAILER HITCH Tow Hitch *Note - For third party subscriptions or services, please contact the dealer for more information. * Want more room? Want more style? This Mercedes-Benz GLE is the vehicle for you. You appreciate the finer things in life, the vehicle you drive should not be the exception. Style, performance, sophistication is in a class of its own with this stunning Mercedes-Benz GLE. This AWD-equipped vehicle handles well in any weather condition or terrain. You'll benefit from superb handling, improved steering and excellent acceleration. Intricately stitched leather and ergonomic design seats are among the details in which test drivers say that Mercedes-Benz GLE is in a league of its own Enjoy the drive without worrying about directions thanks to the built-in navigation system. Contact Mercedes-Benz of Scottsdale today for information on dozens of vehicles like this 2019 Mercedes-Benz GLE AMG GLE 63 S. This SUV gives you versatility, style and comfort all in one vehicle. Today's luxury vehicle is not just about opulence. It's about a perfect balance of performance, comfort and attention to detail. This 2019 Mercedes-Benz GLE is the perfect example of the modern luxury. No matter the weather conditions or terrain, this Selenite Grey AWD Mercedes-Benz GLE handles with an elegant confidence. Fine interior appointments complement this vehicle's unprecedented performance. Based on the superb condition of this vehicle, along with the options and color, this Mercedes-Benz GLE AMG GLE 63 S is sure to sell fast.